"The playground of the Middle West." Showing the Numbered and Marked State Trunk Highway System and the Principal Secondary Highways; also locates Points of Historic, Scenic and Industrial Interest, State Parks and Institutions. Scale: One inch equals ten miles. 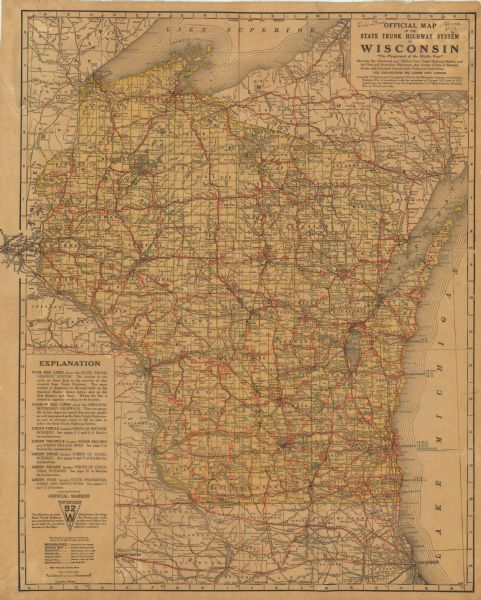 The Wisconsin Highway Commission compiled this map of the highway system of the whole state in 1918.